The results are out since yesterday. 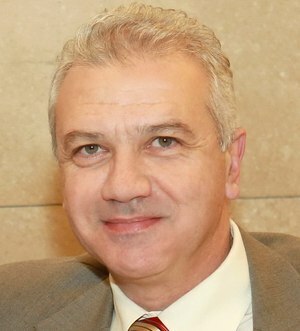 Fadi Karam, the LF candidate, won. The LF kept the seat in a caza under 14M’s control for 8 years now. But when I wrote a post a couple of days earlier about the subject, I missed something very important. What does it really mean that the LF is facing the SSNP in Koura? Everyone would be surprised if the Shias of Nabatiyeh will have the choice to vote between the FM and the Baath. That’s exactly what’s happening here, but in a parallel way. Don’t get this wrong, I am not sectarian nor racist, but the battle should be between two parties that are actually related to the region. I’ll say it clearly. Why is a Maronite Lebanese Far-Right Party Fighting a Nationalist Syrian Far-Right Party in Lebanon‘s Greek-Orthodox headquarters? And the best part is that both Far-Right Parties are actually fighting each other to see who will have the lawful legitimacy to fight the rising salafis (that happens to be the Christian’s new source of fear and the SSNP’s traditional sectarian enemy at the same time) on the other bank of the Kadicha River, in Tripoli. If we come back a couple of months in time, I see Greek Orthodox Intelligentsia asking for a law that permits the Greek-Orthodox of electing their own 14 MPs. Yet the same population comes today, in the only district that is actually under their decision, their control, to vote for nominees of parties external in a way or another to Koura’s religious or Lebanese umbrella. Even Makari, that might be considered as an independent is actually a Haririst. And what are Zgharta’s feudal lords, the Mouawads and the Frangiehs doing in a fight outside their district? It’s like Elias Skaf interfering in the Metn nominations or the Gemayels doing the same in Baabda. The only positive thing about the 1960 electoral law is that it gives the local population the right to elect its own representatives, without being influenced by the external religious, ethnic, and feudal parties of the bigger districts. But the Kouranians simply didn’t get it. You are inferring that the LF is an “external religious, ethnic, […] feudal part[y]”, that has nothing to do with the political views of Koura’s people ? No, I was quite clear. the LF has a sectarian background not compatible with the Greek Orthodox Majority in Koura. The ethnic and feudal parties are other ones that fought the battle too . why is the SSNP external to Koura’s sectarian umbrella? it is the closest thing to a greek-orthodox pary. What other party would have been closer do you think? ba’ath? a nasserist party? FPM? Future? “Koura’s religious or Lebanese umbrella”. I believe you missed the word Lebanese. SSNP can be the closest thing to the Greek-Orthodox, maybe. But it is still a Syrian Nationalist Party. The issue here is that a maronite party is fighting a Syrian Nationalist Party on a Lebanese Greek-Orthodox territory. Every party is so close to the region’s demographics, yet also so far, in ideological, ethnic or sectarian ways. yes, but I think this misses the whole specificity of Greek-Orthodox in the region. It is normal that Maronite nationalism be concentrated on Lebanon, since, they are concentrated there. Orthodox are a minority in Lebanon, but are a majority (among Christians) in greater Syria-Palestine, so it would be natural that they identify with greater Syria as a political entity. again, which parties do you think would have been more representative? the FPM doesn’t include Maronite Saints in his Propaganda, is a lot more secular than the LF, and more “Lebanist” in his approach. And what’s wrong with independents after all? And by the way, the 500 Feuilles Blanches (Very high in the Lebanese context) shows a clear rejectionism of both LF and SSNP and their respective allies by the Kouranians. I can’t agree more with you on their concentration in the Region. That’s probably why you have George Habash, Michel Aflaq, and Antun Saadeh. It is certain that the GO at one point in history were repulsive to the presence to the idea of the State of Greater Lebanon, and that’s why the French handed the presidency to a GO politician in the early days of the republic, to push for a merge of GO in Lebanese institutions. This isn’t the 1920’s the 1940’s or the 1960’s. Lebanese now should be fully convinced with the idea of lebanism, after three decades of Civil Wars, Failed Coups, Israeils Invasion, foreign interference and 92 years of what seems to be a successful integration of all the Lebanese Religions, to a certain extent in the idea of Lebanism. If one shall take the GO for the SSNP, then I don’t see why the califate would not reemerge from pakistan all the way to Nigeria. But the theory that says that a religious entity shall act on the basis of its geographical presence seems a bit outdated today.